Tiny disapproval times two! You'll want to be careful when you open that door. Maybe just slide the food between the bars. 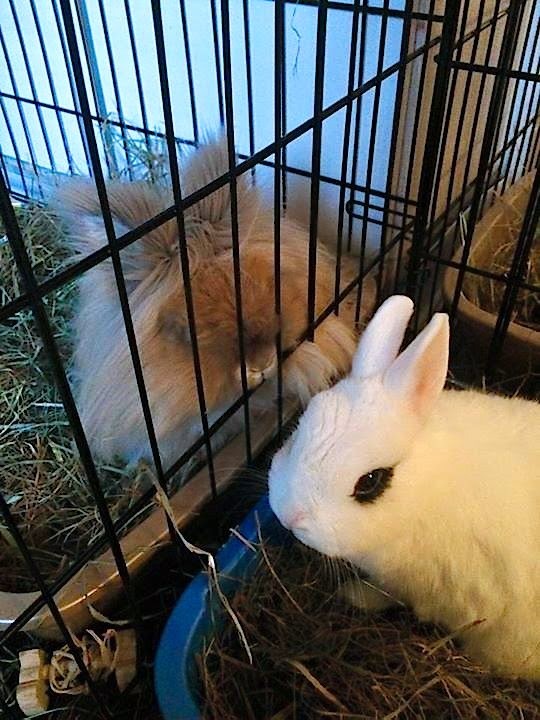 It's true, they could be plotting something, but perhaps as usual, our tiny hoomin brains are not on par with the bunny agenda; I mean, maybe they are discussing multivariable calculus, differential equations, and advanced number theory..? Going, going, ... oh oh - run! Run everyone.